Spring brings fresh sugar snap peas to mind and here’s a simple and delicate dish that makes the most of these jade beauties. Black pepper adds a kick to this dish while the caramelised pods sprinkled with grated coconut yield a sweeter taste. You can also make the dish from petit pois or any other variety of tender, sweet peas. This recipe serves 2 as a side dish. In a sauté pan, heat the oil and add in the pepper. 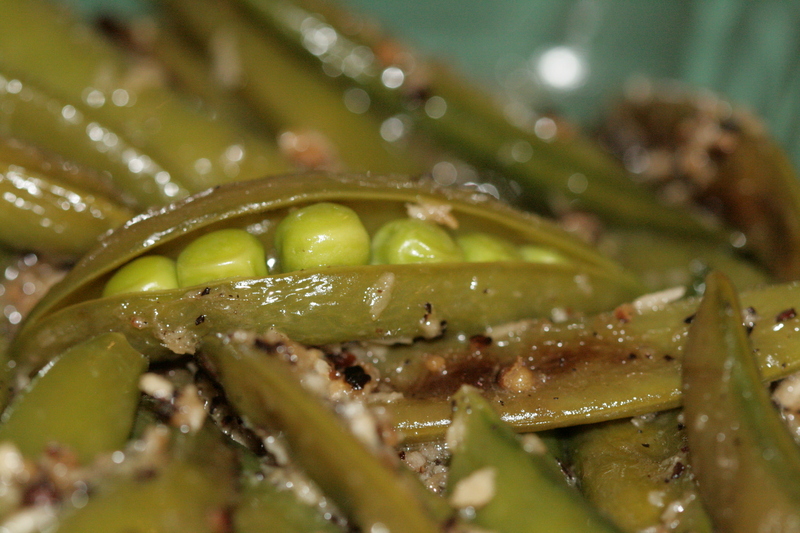 Add the sugar snap peas, season with salt and cook till the pods are lightly caramelised. Turn off the gas and while the pan is still on the hob. Stir in the grated coconut. Let the coconut absorb the flavours of the salt and pepper for 3-5 minutes. 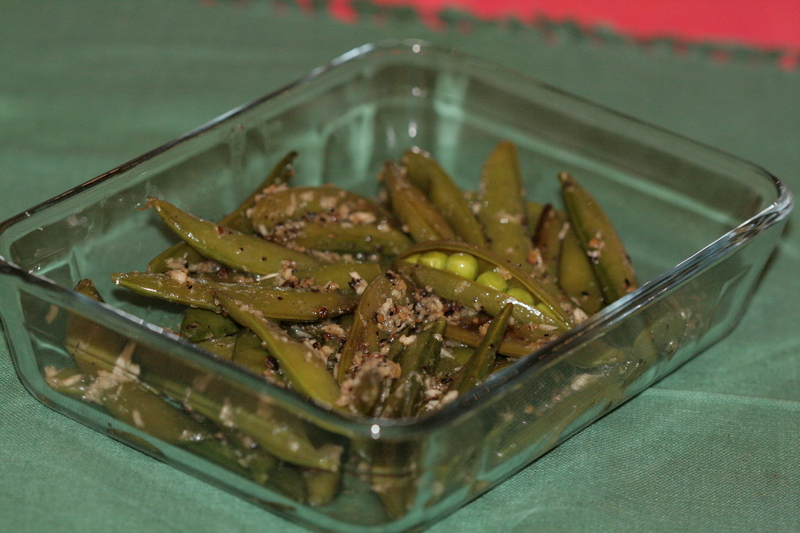 This entry was posted in Seasonal Veggies and tagged Indian side dishes, peas, phadna, seasonal food, sugar snap peas, vatane, vatanyacha phadna. Bookmark the permalink.